RICHMOND, Va. — Entirely convinced that his campaign staff’s inability to find Northam’s yearbook photos showing him dressed in racist attire cost him the 2017 election, former gubernatorial candidate Ed Gillespie has fired former staffer Steve Buxton, sources revealed Monday. Buxton, who was in charge of opposition research on Northam following his June 2017 primary victory, could not be reached for comment, but according to fellow Gillespie campaign alum Anna Harvey, Buxton’s termination was swift and severe. Buxton, who hasn’t been on Gillespie’s payroll since the end of his failed bid for governor was reportedly shocked by the response, according to several neighbors who witnessed the altercation. But in a depressing tweet following the incident, Buxton admitted that he deserved to be punished for what he had done. 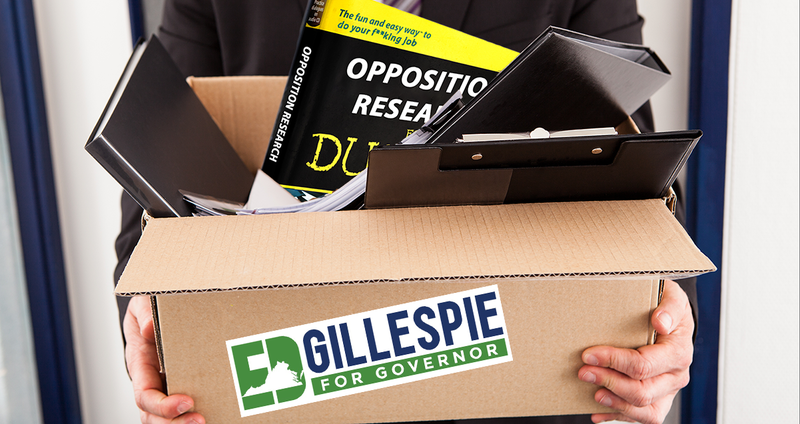 At the time of reporting, Gillespie’s other former staffers were desperately pouring over Lieutenant Governor Justin Fairfax’s yearbooks for anything that could be considered damning to his reputation. Support local journalism – check out our online store.